Before the young children you know are consumed with the games on your iPad or iPhone, show them the magic of the old board game Candy Land. This game is a member of the National Toy Hall of Fame and even decades after its creation it can still make kids laugh as they have fun. As a bit of background, the game Candy Land was invented in 1949 by Eleanor Abbott, a young girl recovering from polio. Abbott wanted to create a funny board game for kids like her that were spending long periods of time in hospitals. For the game, she imagined an easy race through a happy world filled with candy. The game ends when the first person reaches a candy castle. The game continues to be a hit because after all, what kid doesn't want to go to a castle filled with candy? We bring this up because large retailers have also been playing a game in the payments space that might serve to give bankers cavities. The Merchant Customer Exchange (MCX) as it is known was created in 2012 by the biggest retailers and restaurant chains (Wal-Mart, Target, Sears, Olive Garden, Acme, Home Depot, Best Buy, Rite Aid, Michaels, etc.). Together they represent a massive $1T in annual sales. This group promised to use a new app, called CurrentC, to create an alternative mobile payment system. The idea was to avoid interchange fees and lock in customers, as the app is directly linked to checking accounts, gift cards or private label cards. Shoppers would simply scan a code at the register to be able to pay with their phone and the idea was that they would be tempted to do so because of the loyalty programs they would enjoy. CurrentC also has special offers, coupons and promotions exclusive to the participating merchants. The idea seemed good to the retailers, but it also has to overcome some pretty big problems. Consider that CurrentC has already been hacked, even though it isn't expected to officially launch until 2016. As if that weren't enough, there are also some very strong competitors that go well beyond this smaller list of retailers. 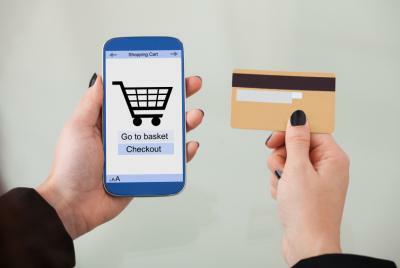 Consider that Apple Pay, Android Pay, Samsung Pay and others are already in the payments space, churning out attractive offers and capturing customers. This has led some of the biggest retailers (many of them founders of CurrentC) to chase the business by entering the mobile game and accepting Apple Pay and others. One has to wonder if it is already too late for CurrentC. Mobile customers can only handle so many apps and when it comes to making payments, the vast majority of people want to use one or two systems that can handle everything. Technology continues to advance and customers can be fickle so CurrentC might still have a chance to launch and roll out, but we doubt it at this point. Instead, we would guess these retailers will recognize they are too late to enter the payments space (particularly given how much activity happens online these days) and will instead seek out some sort of partnership with an existing player. In that way, these retailers may still get to sell their candy to customers now and in the future. Yields fell 6bps after weaker than expected jobs data increased investor concerns over the timing of the Fed rate hikes. o	1) Pacific Premier Bank ($2.6B, CA) will acquire Security Bank of California ($658mm, CA) for about $118.9mm in stock. 2) Town And Country Bank ($515mm, IL) will acquire Premier Bank of Jacksonville ($196mm, IL) for an undisclosed sum. 3) Ameris Bank ($5.2B, GA) will acquire The Jacksonville Bank ($502mm, FL) for $96.6mm in cash (25%) and stock (75%) or about 1.44x tangible book. 4) Park Sterling Bank ($2.4B, NC) will acquire First Capital Bank ($616mm, VA) for about $82.5mm. 1) Hometown National Bank ($5mm, WA) was closed and the FDIC entered into a purchase and assumption agreement with Twin City Bank ($52mm, WA). Twin City gets 1 branch, all deposits and about 78% of assets. 2) The Bank of Georgia ($294mm, GA) was closed and the FDIC entered into a purchase and assumption agreement with Fidelity Bank ($52mm, GA). Fidelity gets 7 branches, all deposits (3.05% premium paid) and about 86% of assets. 1) The ABA said it suffered a cyber attack of its online shopping cart and at least 6,400 user records had been stolen and posted online (including email addresses and passwords used to make purchases or register for events). 2) Scottrade Financial said it suffered a cyber attack that may have exposed personal information of 4.6mm clients. 3) Experian said one of its servers had been compromised and the records of up to 15mm T-Mobile customers had been stolen. The SEC Commissioner said she will push for more transparency in the securities markets given technology changes. She called for "dramatic reforms" for increased transparency, particularly in alternative trading systems. TheStreet reports only 2 of the 10 largest banks in the US (US Bancorp and Wells Fargo) earned a return on shareholder equity above 10% (assumed to be equal to their cost of capital). The others earned below that threshold as follows: JPMorgan (9.8%), State Street (9.1%), Capital One (8.8%), PNC (8.7%), Suntrust (8.4%), Bank of NY/Mellon (7.8%), Citigroup (5.9%) and Bank of America (4.6%). Sheshunoff & Co estimates a $1B bank will pay about $250,000 per year to be a public company. Fed research finds the combination of low interest rates, not enough loan opportunities and a flat yield curve have driven much of the current low level of net interest income.